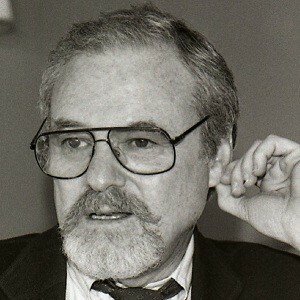 Alan Jay Pakula (April 7, 1928 – November 19, 1998) was an American film director, writer and producer. In 1969, he directed his first feature film, The Sterile Cuckoo, starring Liza Minnelli and became famous with the film Klute, a thriller starring Jane Fonda. He is then recognized for two political films: The Parallax View dealing with the assassination of Kennedy and All the President's Men, which tells the story of an investigation that led to the Watergate scandal. Pakula won a reputation as a committed filmmaker. Towards the end of his career he appeared comfortable in the thriller genre with films like Presumed Innocent, The Pelican Brief, and his last film The Devil's Own.